The comparison will surely come across as a huge praise for the youngster. Babar Azam has emerged as a prominent batsman in the Pakistani ranks. The youngster has continued to prove himself outright in the recently concluded South African tour. He ended up being the highest run scorer in the T20I series. Even in the traditional format, the 24-year-old had the second highest run tally behind Shan Masood. While Pakistan were defeated in every format including a whitewash in Tests, Babar managed to leave behind his mark. He’s currently the No.1 T20I batsman in the ICC rankings. Even in ODIs, the right-hander holds the fifth position. Over the years, Babar has been drawn to a comparison with certain cricketers. Former Pakistani cricketer Rashid Latif is the latest to join the list. Babar Azam was absolutely phenomenal in 2018 as he scored runs across all formats. Latif was particularly impressed with the same. He went on to reckon that Babar had the potential to be a world class player. The former cricketer also went on to compare him with the likes of Pakistani batting greats such as Inzamam-ul Haq, Mohammed Yousuf and Younis Khan. The comparison will surely come across as huge praise for Babar. His batting efforts were also acknowledged by Shoaib Malik and coach Mickey Arthur. “Azam has been performing for the past year, but for the first time, I felt that Babar can become a world class player, and can rise to the calibre of Inzamam, Yousuf and Mohammad Younis,” Rashid Latif was quoted as saying by Business Recorder. 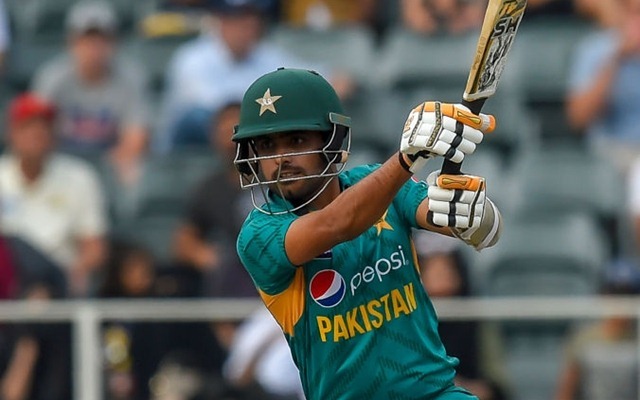 Come the World Cup, Babar Azam is going to be an integral member in the Pakistani batting line-up. He had an ordinary season with the bat in the Men In Green’s successful Champions Trophy campaign. However this time around, he will be prepared to perform at the big stage.